I wanted to look back at WWE Twist of Fate: The Matt and Jeff Hardy Story. 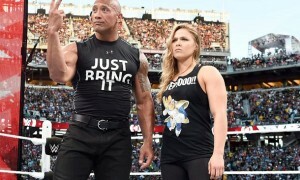 This WWE home video release spotlights two of the most popular wrestlers of the decade. Matt and Jeff Hardy have each carved their own niches in WWE history. 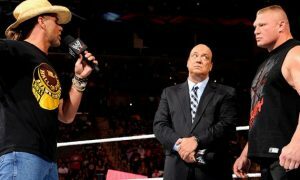 Both wrestlers continue to ride a wave of popularity whether together or apart that is unprecedented. Twist of Fate chronicles the rise of the most successful brother combination of the 21st century. Fans of the WWE documentary style format will love this set. This set is presented more like the Shawn Michaels and Bret Hart sets, rather than the WWE’s newest releases. The twist to this set is that Disc 1 is all about Matt and Disc 2 is all about Jeff. The set concentrates more on each of their singles careers as opposed to their success as a tag team. The first disc is all about Matt Hardy. Matt Hardy talks extensively about his career, going all the way back to the day he watched WrestleMania IV. 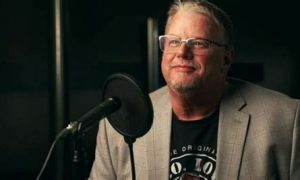 Comments from Jim Ross, JBL, Jeff Hardy, Shane Helms and others are spliced into the documentary. The story of the rise of Matt Hardy is an inspirational one. Aspiring pro wrestlers could take a lot away from Matt’s story and how he achieved his WWE dreams. Matt talks also a lot about his days as an independent pro wrestling promoter. It is actually quite fascinating if you dissect how he was able to take a hobby and start promoting shows on his own. Matt had a lot of good breaks early on, but was also quite savvy as a promoter. Jim Ross in particular comments about how impressive it was that Matt was able to accomplish this as a youngster. Don’t be surprised to see Matt get into some kind of booking or promoting once his career winds down. The rest of the disc follows Matt through the tag team days through the present. The one chapter in particular of the entire set that will have most people talking will be the Matt-Lita-Edge love triangle. This is the first time that I can remember on WWE home video that Matt sat down and talked about the affair and the fallout between the three. Old clips of Lita are spliced in, along with comments from Edge. This was interesting stuff, but nothing new if you followed the story like everyone else did when it broke on the Internet and through Matt’s various online writings and appearances. Some of Matt’s match highlights include; Matt Hardy vs. Kane No DQ/No Count Out Match from Vengeance 2004, Matt Hardy vs. Edge Steel Cage Match from WWE Unforgiven 2005, and Matt Hardy vs. Mr. Kennedy from SmackDown 2007. Disc 2 tells the story of Jeff Hardy. Jeff talks a lot about his career from the start to his run at the top of the WWE cards. It is obvious from the start at how different the two are from one another. The passion that Matt has about pro wrestling isn’t as evident from Jeff. Jeff seems to be a lot like his wrestling character. Jeff is very creative, but doesn’t strike me as a guy that thinks about wrestling 24-7 like his brother. Jeff uses writing and music as creative outlets. Jeff spends a lot of time writing poetry. Jeff reads some poems on the disc, which isn’t too interesting if you are just into the wrestling. Jeff also had different dreams than his brother growing up. Unlike Matt who wanted to be a WWE superstar, Jeff wanted to play baseball. Matt looked more athletic as a teenager which makes this revelation surprising to me. An interesting tidbit is told about the Hardy’s entry into the WWE. Jeff was only 16 years old when he started working for the WWE. WWE officials say that if they knew that, they wouldn’t have used Jeff. This is a similar story that is told about Terry Gordy, who lied about his age and started wrestling when he was 14. Shawn Michaels pays Jeff a great compliment and says that wrestlers were requesting to work with the Hardys even back then. The meat of Jeff’s story revolves around his first departure from the WWE. Jeff talks quite openly about his drug use. Jeff admits he failed a drug test and goes on to talk about how burnt out from wrestling he was at the time. You have to wonder if any of these comments will be used at his impending trial by prosecution. Jeff said he just wanted out, which contradicts an earlier interview he did on a non-WWE video interview. Jeff even mentions TNA by name and talks about jumping over to TNA because of the lighter schedule. The DVD was obviously produced long before Jeff’s suspension in the winter of 2008. It is unfortunate as this would have been a great segment to discuss on the DVD. Jeff is an interesting guy, who seems kind of oblivious at times as to how talented he really is. Wrestling seems to come naturally to this guy which can be a good or a bad thing. An underlying theme on the set is how many more breaks Jeff has gotten, as opposed to Matt who lives, eats, breathes, and sleeps pro wrestling. The set is great for the matches. The Hardys have influenced a whole generation of wrestlers with their innovations and athleticism. The story of the Hardy brothers has been told numerous times with a book, a past WWE DVD, and several non-WWE DVDs the brothers did when they weren’t under contract. There isn’t much left to tell that most of their fans don’t already know. 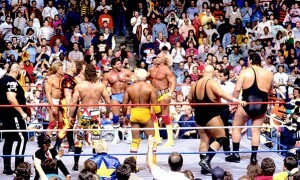 However, you can’t beat the great matches included on the set. Some match highlights from Jeff’s disc include; Jeff Hardy vs. Shelton Benjamin from RAW 2007, Jeff Hardy vs. Triple H from Armageddon 2007, and Jeff Hardy vs. Umaga Steel Cage Match from RAW 2008.